Obituary for Mary Burleigh Martin-Sheffield | Hillside Funeral Services Ltd.
We mourn the passing of Mary Burleigh Martin-Sheffield (nee Armitage) 1928-2019. 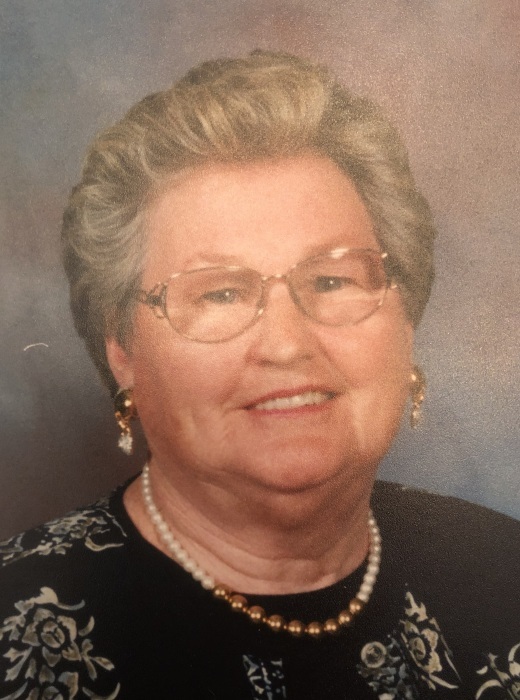 She passed away peacefully at Cassellholme on Monday April 1st, 2019 at the age of 91 years. She was predeceased by her 3 husbands Roy Karl Martin, George Andrew Martin and Douglas Sheffield. Loving mother of Brock, Brenda (Joe) and Howard. She will be sadly missed by her granddaughter Lauren Mary Dal Ferro. She was a longtime member of the Order of the Eastern Star – Algoma Chapter 139 and the Phelps Golden Age Club. Her career at the Sudbury Hydro spanned her adult life from age 17 to retirement in 1988 at age 60. Many summers were spent at her beloved camp on Fairbank Lake where she embraced nature and nurtured many friendships. She will be remembered as a fun loving and joyful spirit who lived a full and productive life. She worked hard, loved and cared for many and was loved by all who knew her. Family receiving friends at HILLSIDE FUNERAL SERVICES, 362 Airport Rd., on Saturday April 20th, 2019 from 1 pm until time of funeral service at 3 pm. There's still time to send flowers to the Visitation at the Hillside Funeral Services Ltd. from 1:00 PM to 3:00 PM on April 20, 2019.